My subject matter is landscape, in particular the landscape of North Mayo and Sligo, where I was born, and the Curragh where I now live. I want to celebrate the subtlety and nuance of the natural world, to convey the emotion felt rather than representing a particular place. 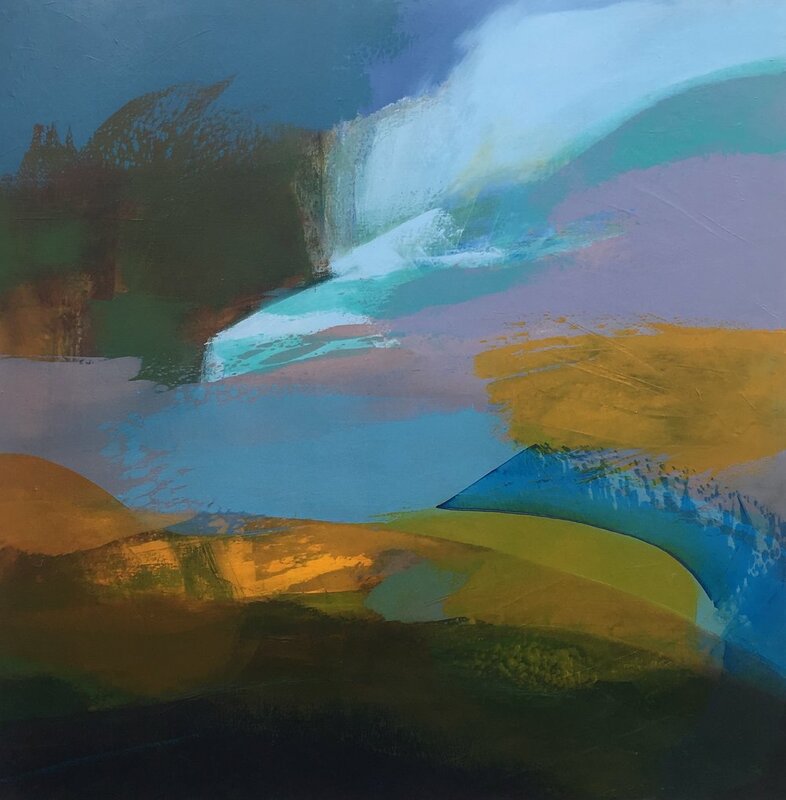 Using the recognised language of landscape such as horizon lines and boundaries, the paint is pulled across the canvas, scraped back, reworked, all the while being mindful of the shapes and edges created by accident, which speak to me of waves, clouds, rocks, light, shadow, colour and form. My hope is that this sensitivity will strike a chord of recognition in those who view the work.